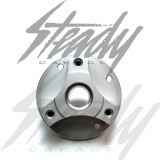 ATR front wheel hub will work with custom Honda Ruckus, custom Honda Metropolitan, and custom Yamaha Zuma 125! Will work with both 12mm and 10mm axles! Honda Ruckus spacers and speedometer turning gear included! 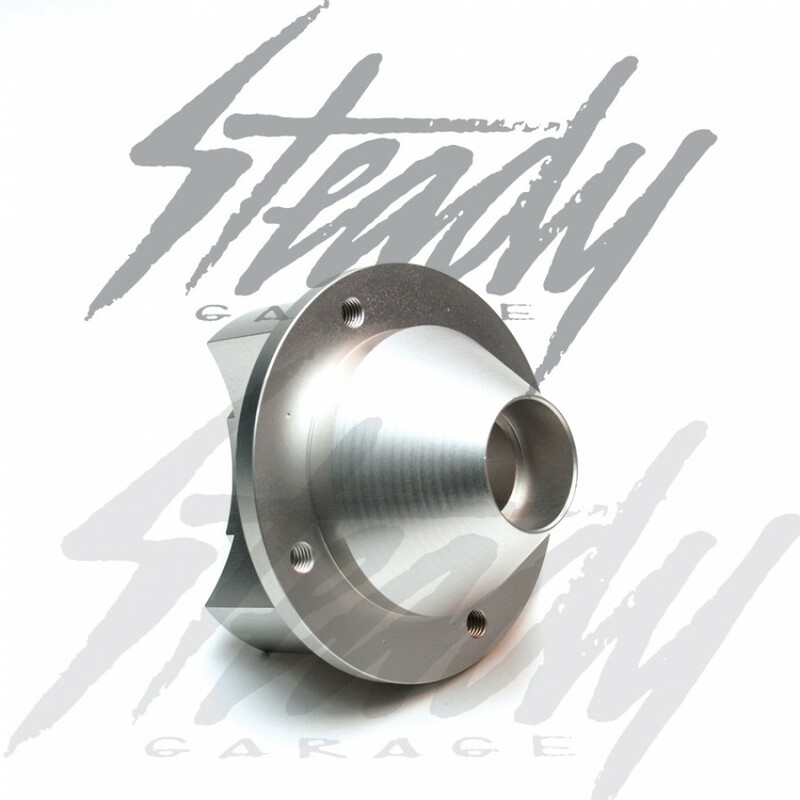 All ATR hubs are professionally hand-made from full T-6061 aluminum. 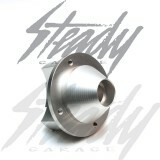 These hubs come anodized in a nice silver finish. 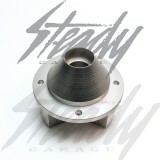 ATR front hub will fit both 190mm and 220mm brake rotors! The only hub in the market that will allow you to easily install and run 220mm on 10" rims. 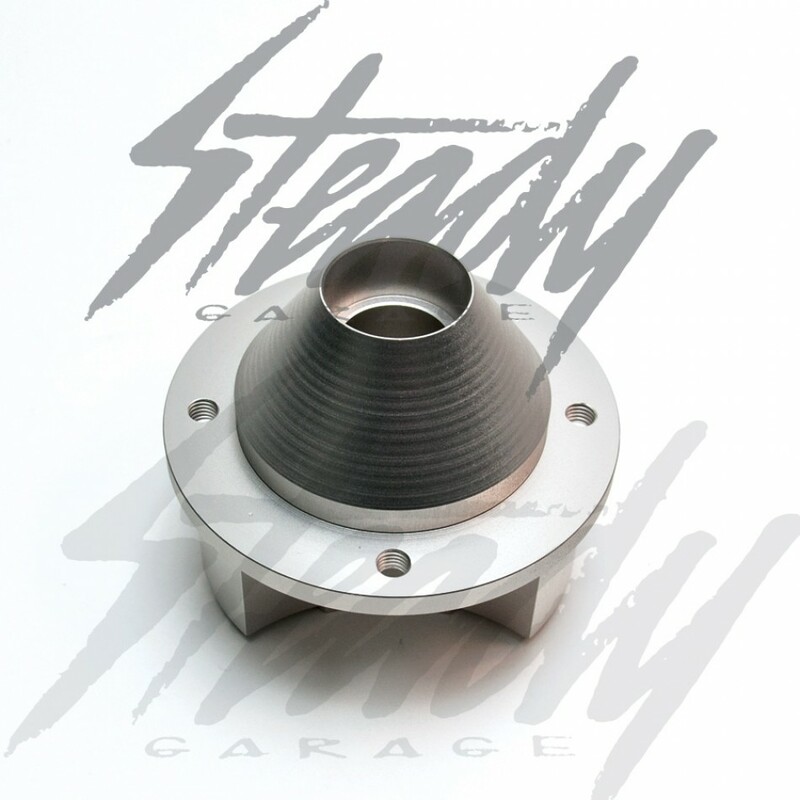 Why look like everyone else rocking small 190mm brake rotors? Yamaha Zuma 125 (will need to purchase a Chimera 3 to 5 hole brake rotor adapter and custom spacers for axle and caliper) Please see notes below. Notes: Does not include hardwares; such as: rotor bolts (3 required) and rim bolts (4 required). Includes spacers will fit MOST popular Honda Ruckus front end set-up (ATR, NCY, RRGS, JDM, Bowls,etc), however due to different rims and rim offset, modifying the wheel spacers may be needed. Included 12mm spacer set up bolts up perfectly to ATR Honda Ruckus front disc brake kits (G1 and G2), which also allows you to use your speedometer gear! 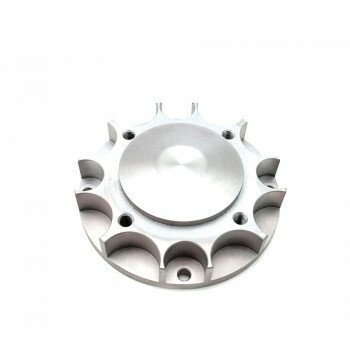 For Yamaha Zuma 125 application, a Chimera 3 to 5 hole brake rotor adapter is needed as well as custom wheel and caliper spacers (not included). Please take into consideration that likewise with anything customized, there will be additional work or parts that may need to be factored in; in order to get everything to work together. 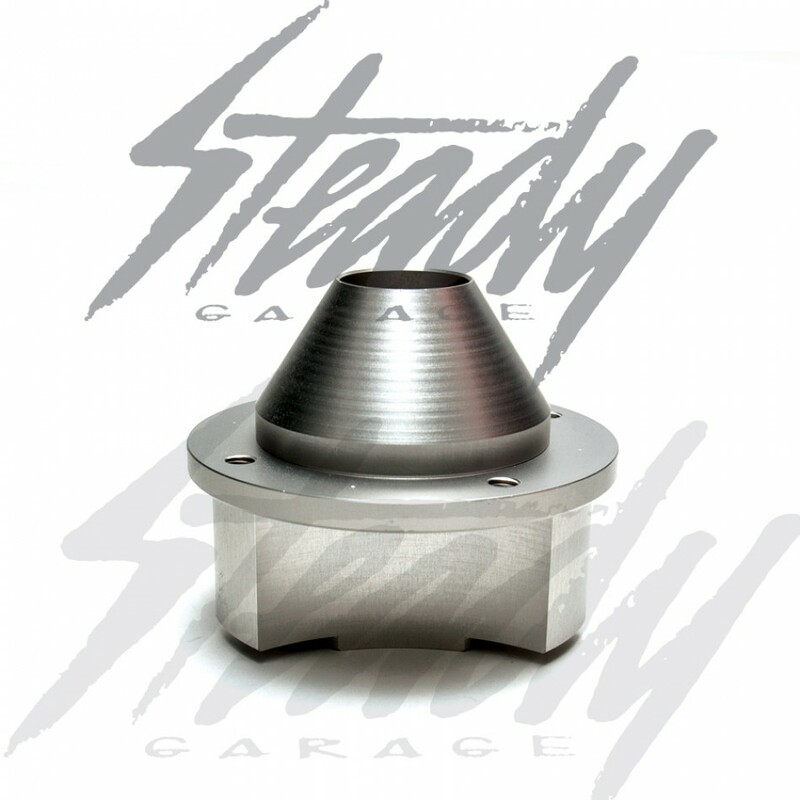 Rim size, rotor size, aftermarket caliper size, etc. all comes into play when fitting a custom front rim onto the front of a Zuma 125. As with any aftermarket front hub for the Zuma 125, the speedometer gear will no longer fit or be functional, so a speedometer bypass device will be needed if the check engine light comes on, please contact us for additional information.